ICS phone offers a 1 GHz dual-core CPU, 8 mp camera, and dual-SIM support. 5.0" capacitive multi-touch screen with pixel dimensions of 480x800. 1 GHz dual-core CPU, 512 MB of RAM. 8 mp rear camera with LED flash, VGA front-camera. 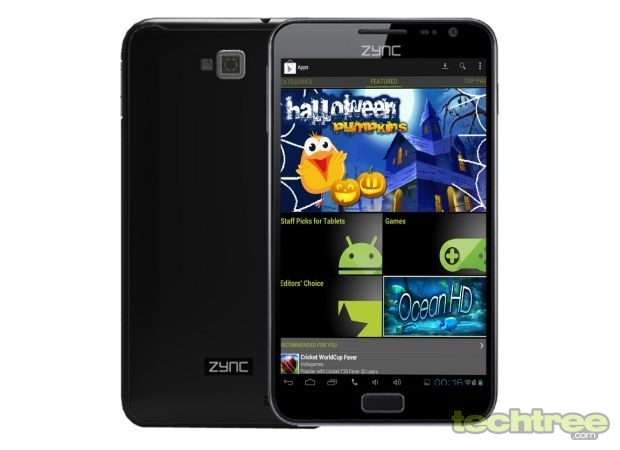 The Cloud Z5 Dual Core is available for Rs 12,000 via online stores. Although it's not expensive, I find the pricing to be a bit too steep, considering that the similarly spec'd Micromax Canvas 2 A100 is available for Rs 10,000.